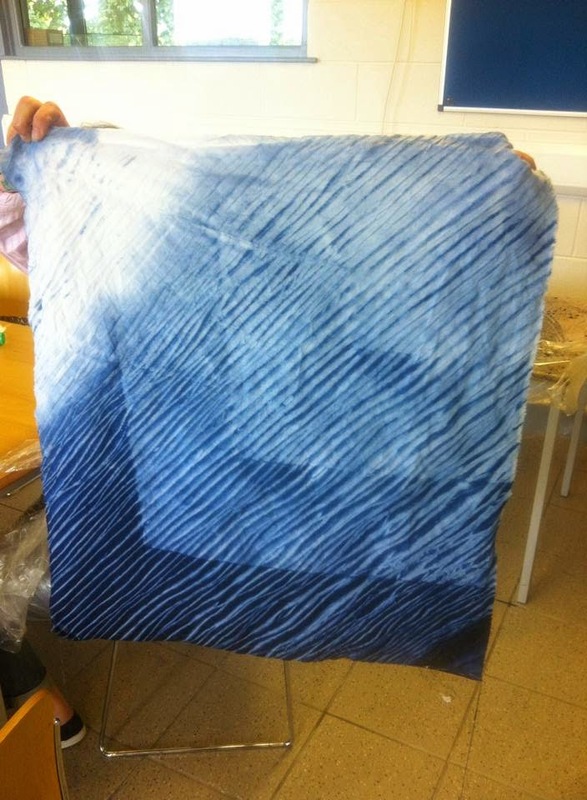 Since returning to Ireland from Japan I have been wanting to teach the textiles techniques that I learned there. There are two reasons for this, that I've missed teaching since I left my job in Japan and I feel privileged to have been able to study textiles in Japan. 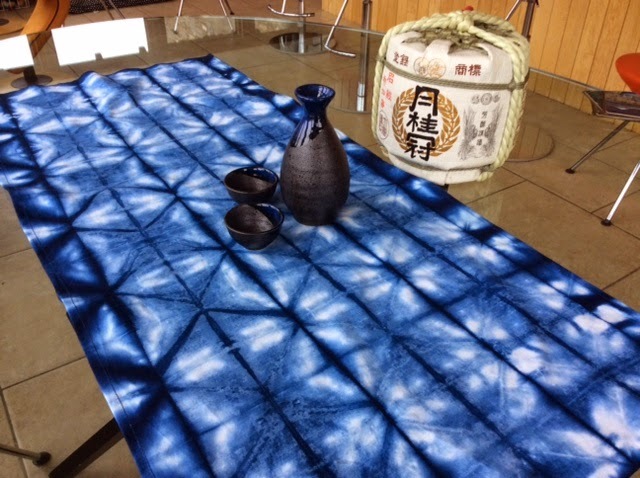 I hope to inspire others interest in Japanese textiles and encourage them to create their own work in these ancient art forms. 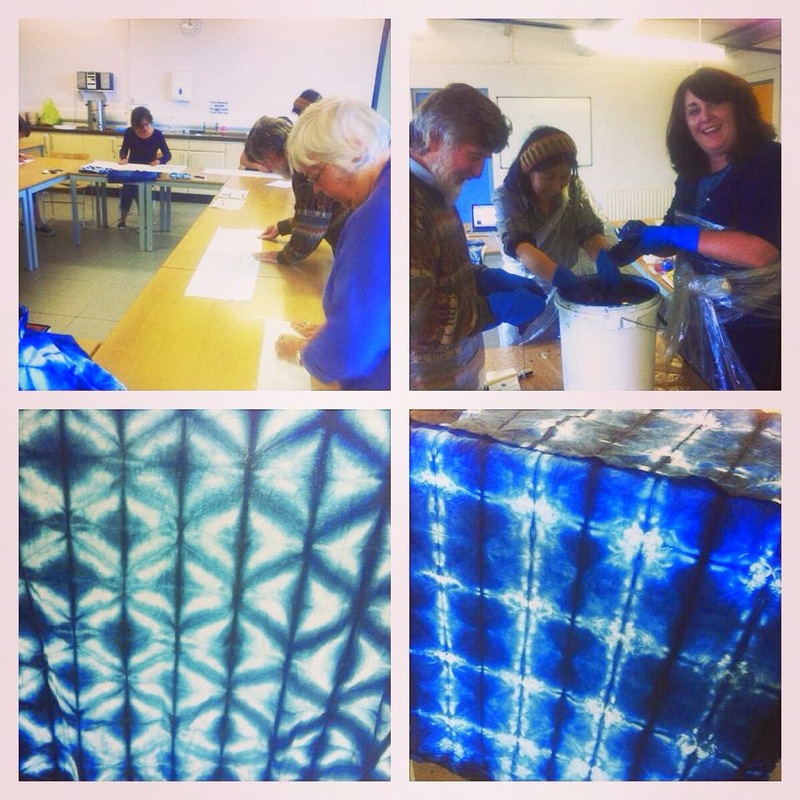 I was delighted when I asked to teach two Shibori class at Flowerfield Art Center in Portstewert. 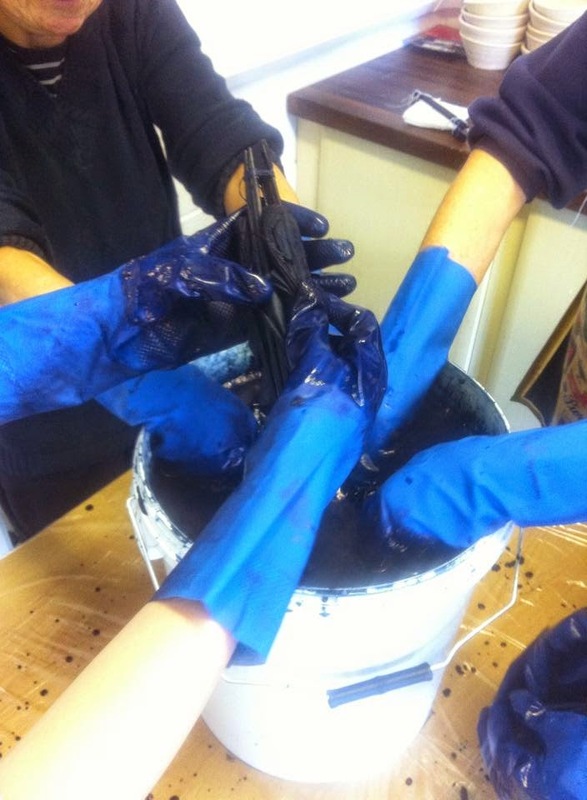 The students who attended the class had great interest and enthusiasm to learn about Japanese culture as well as indigo dyeing. Each student made two Japanese tenugi and it was very interesting to see the variation in each person’s piece even though they were taught the same technique. I was excited (and slightly nervous) that Junko came to the class but my knowledge of Japanese traditions held up. As students were very interested in Japanese culture as a whole, it was great for them to hear Junko's opinion too. I really loved meeting someone from Japan in Ireland and I even got to test my Japanese language. They didn't compare to Junko's English but it was fun to try! Abbie and Sonia came to the class because Abbie (who is 15) loves Japan and hopes to go there one day. They both enjoyed the first class so much that they decided to come to the second one. As I was teaching the same class I gave them a little homework so that they wouldn't feel bored. I explained simple outlines of a few techniques and ask them to try one or two at home. 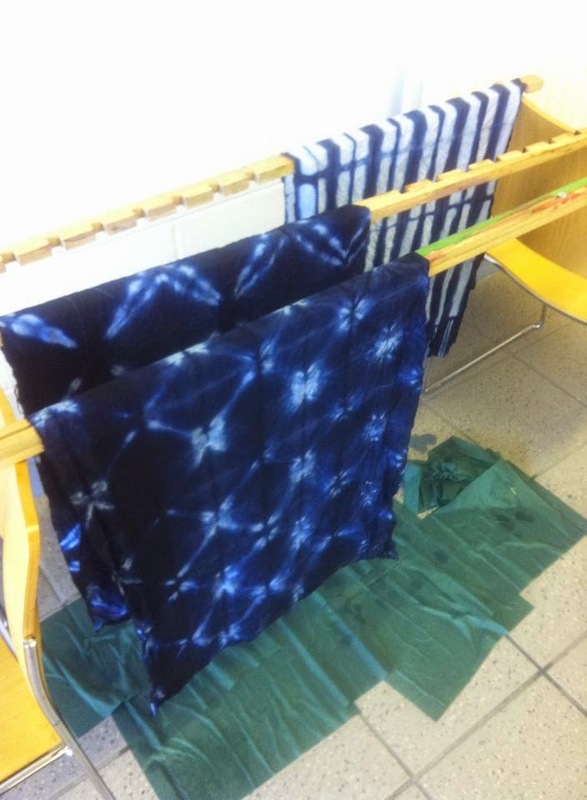 I was extremely surprised when they returned two weeks later for the second class with a bundle of fabrics and techniques finished and ready to dye. 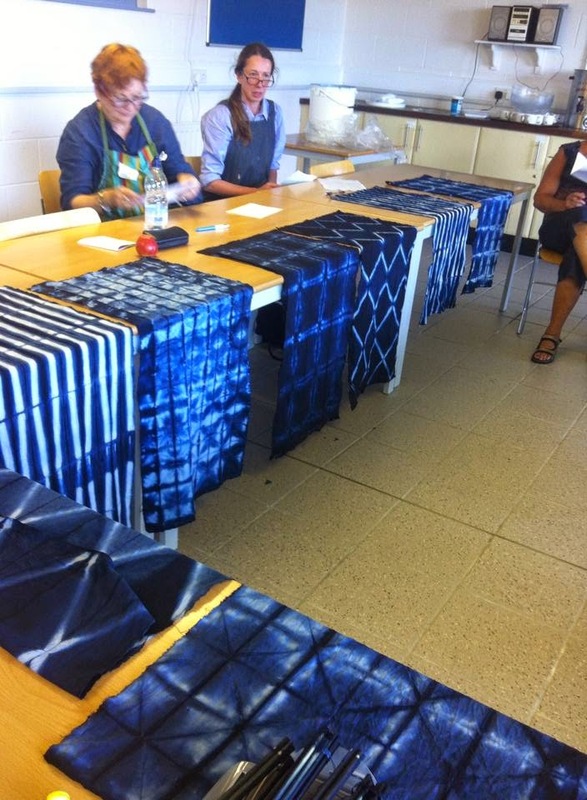 It was thrilling to see someone become so excited about the possibilities of Shibori and to experiment on their own. Their experiments were brilliant and they left with some lovely pieces. A few day after the class I received an email from Tish who had visited Japan before. 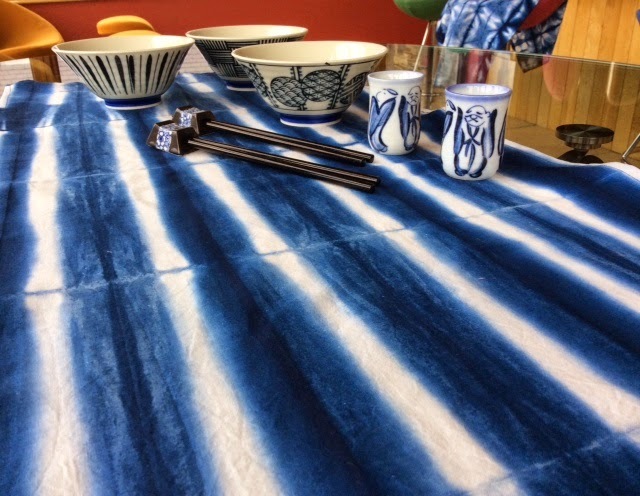 She sent me a few pictures of her new tenugi being used as table runners with her lovely Japanese pottery on them. 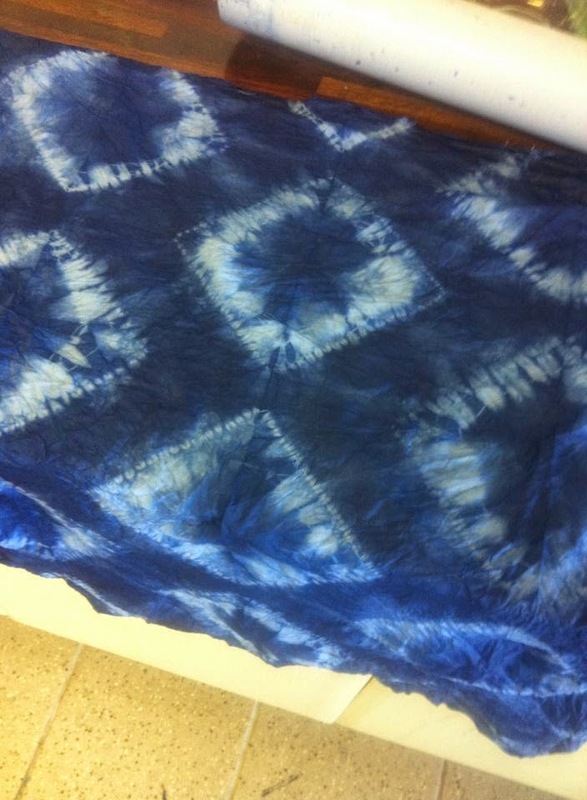 I was lovely to see students using their own handmade fabrics. 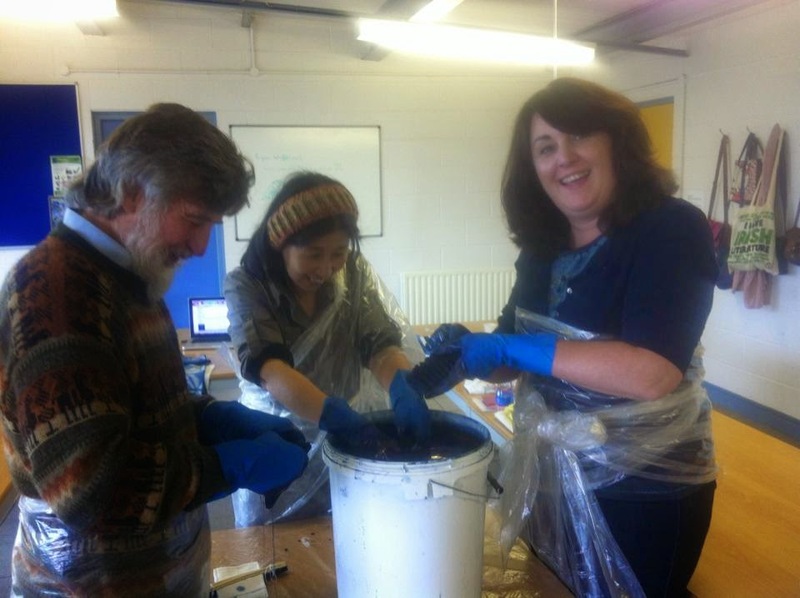 Overall I was delighted to see the response and interest in Japanese culture in Northern Ireland. 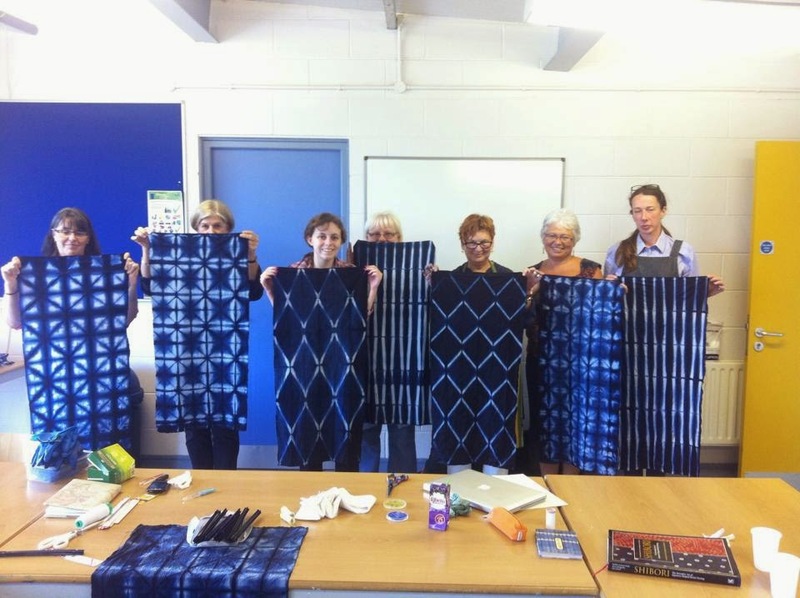 I am looking forward to teaching more classes in the future and encouraging interest in the wonders of indigo.